YouTube or Google offering traditional TV networks has been rumored for ages, and now it is finally official. 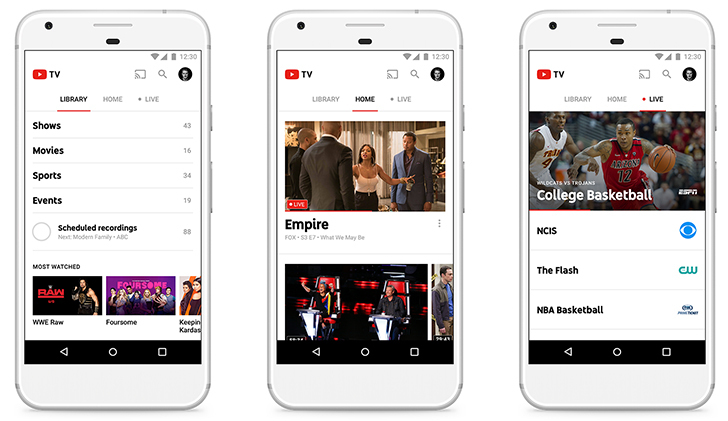 Today Google unveiled 'YouTube TV,' a new subscription service offering dozens of TV networks, cloud DVR, and YouTube Red originals for just $35 a month. Obviously the library of TV networks will make or break YouTube TV, but Google is off to a pretty good start. YouTube TV includes ABC, CBS, Fox, NBC, ESPN, and dozens of other local sports and cable networks (see the below picture for all of them). Showtime and Fox Soccer Plus are available for an additional charge. Google's aim is to make watching TV more like watching YouTube, so one of the big selling points is Cloud DVR. Much like Xfinity and similar TV providers, recordings of shows are kept online for easy access. There is no storage limit or simultaneous recording limit, but recordings are deleted after nine months. There are a few additional benefits to YouTube TV worth mentioning. You can have up to six user accounts, with separate recommendations and DVRs, and up to three users can stream TV at once. The service also includes all YouTube Red Originals, and works on Android, iOS, and Chromecasts/Chromecast-compatible TVs. We've double checked with Google — YouTube TV does not include the ad-free YouTube Red subscription or Google Play Music membership, only YouTube Red Originals. As mentioned above, YouTube TV only costs $35 a month with no contract. Google says it will "be available soon in the largest U.S. markets and will quickly expand to cover more cities across the country." You can sign up at tv.youtube.com to find out when it becomes available in your area.